With less than a week until St Patricks day you had better get your skates on if you want to pull together an epic party of green. If anyone knows how to party, it’s the Irish. 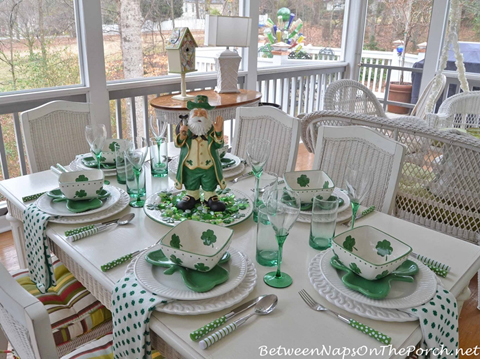 So get excited, because here are some ideas on how to make your St Patricks Day Party awesome. You don’t need to worry about choosing a colour scheme, as it’s already been chosen for you – TICK! But if you are looking for a little extra colour then you can throw in some white and orange to compliment all that green. Remember it’s a celebration, so keep it fun. 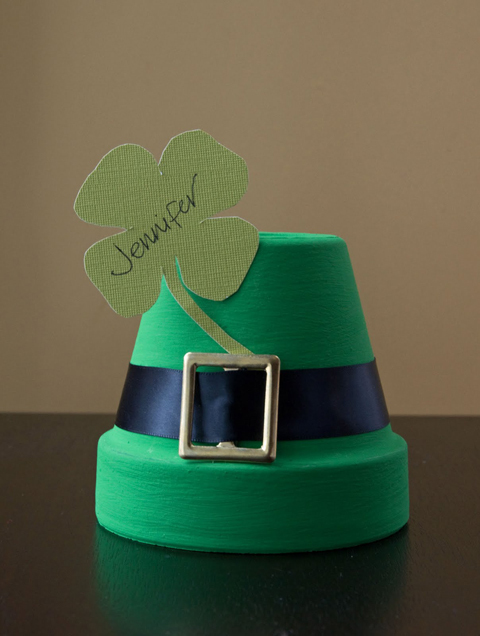 You can use small terracotta pots to make cute little place card holders like this one from the Hatter and Hare Events blog. Prefer a more formal setting? This elegant setting from betweennapsontheporch.net is just gorgeous. A traditional beef stew and creamy mash is sure to bring out the Irish in you. 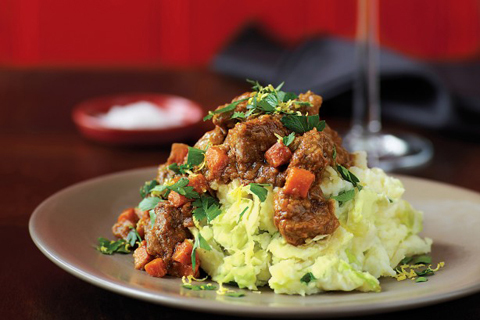 This Colcannon with Guinness Stew from Taste will look and taste the part for any St Paddy’s Day celebration. 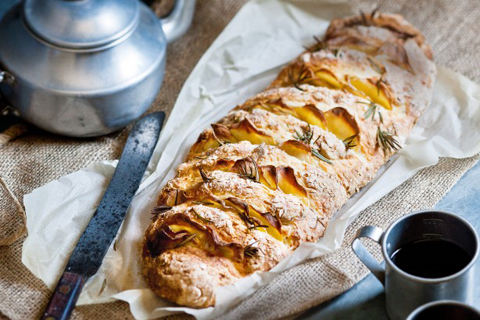 Add a side dish of delicious Potato and Rosemary soda bread and your main is complete. Don’t forget dessert! Never forget dessert. 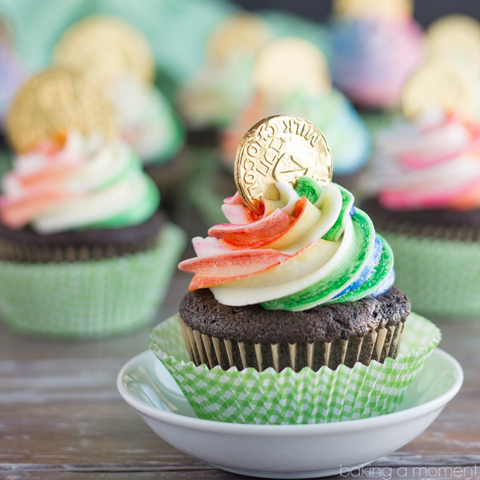 These gorgeous and also super delicious pot-of-gold cupcakes from bakingamoment.com would be perfect! With a base of deep, dark chocolate how on Earth can it be a bad thing? Or wanting something just a little healthier? Everything that includes fruit is healthy, right? 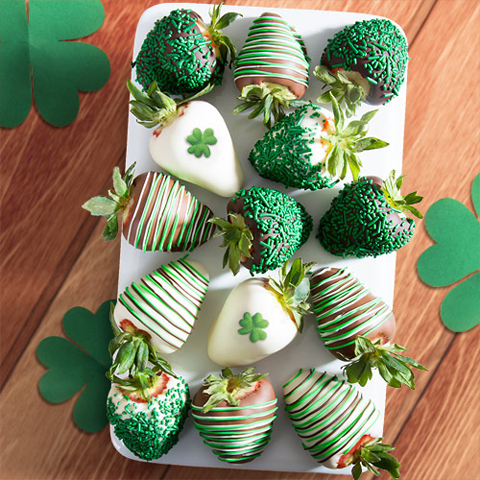 Some may say they look too good to eat, but I am sure I would be ok with giving these chocolate-dipped strawberries a go! YUM! Do you have kids to keep amused while the “grown-ups” test out another awesome green cocktail? 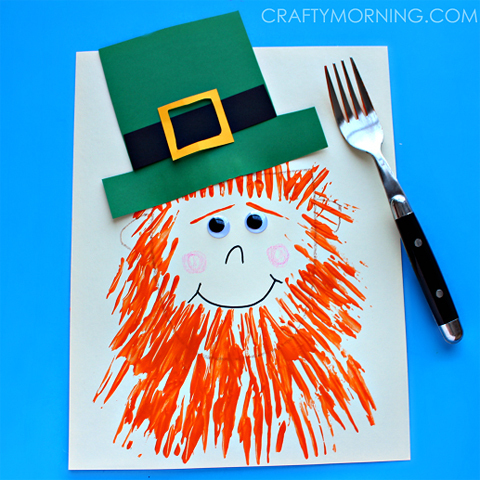 This awesome Leprechaun craft project from craftymorning.com will keep them busy! I mean, who doesn’t love fork art? Yes, it’s a thing… look it up! Do you celebrate St Patrick’s Day?